Once a little, wild fairy-child on a shuttered dairy farm in rural Oregon, Betsy grew up stitching and finding art in the natural world. Her mom was an avid believer that her daughters should at least know how to do handwork, even if they never enjoyed it. Betsy didn’t enjoy it; stitching was a drag and a chore, but then it became the craft that wouldn’t die. Now she’s moved embroidery out of the hoop and onto the 3-dimensional objects which she collects and hoards. These stitched objects appear often in larger work. Now a long-time Sacramento resident, Betsy received formal arts training in painting, drawing, and ceramics in high school and jr. college, then earned a BA in Humanities/Religious Studies at CSUS in the mid-90s. She spent a decade as a database and web programmer in the lobby industry, then several years as an information services director for a cannabis testing laboratory. All the while, Betsy has maintained a strong participation within local weaving and fiber arts communities. 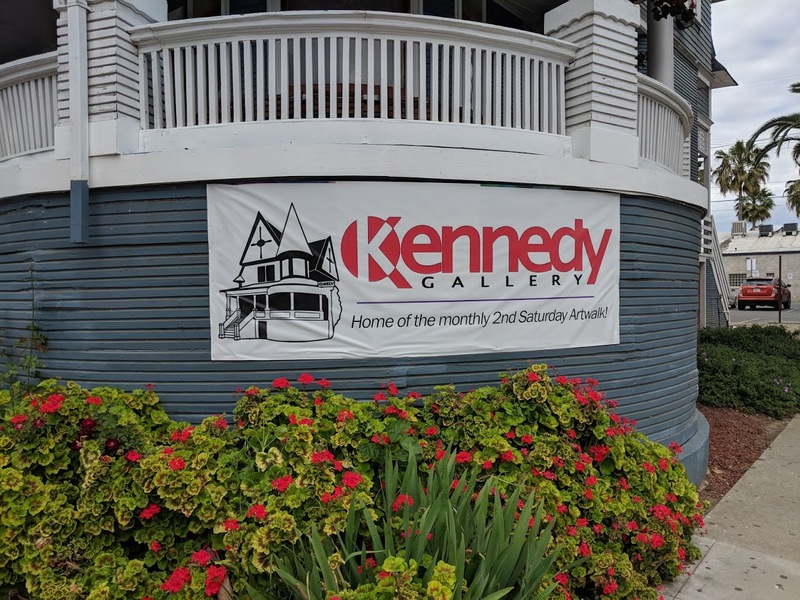 These unusual juxtapositions have prompted Betsy to ask questions about the intersection of technology and science within traditional craftways. Betsy stumbled across basketry only a short 8 years ago, but immediately felt drawn to the medium as perfect for her expression. A blend of ancient technology with an endless opportunity to express modern sensibilities, baskets are at their core useful tools, objects to be handled and valued for their function. 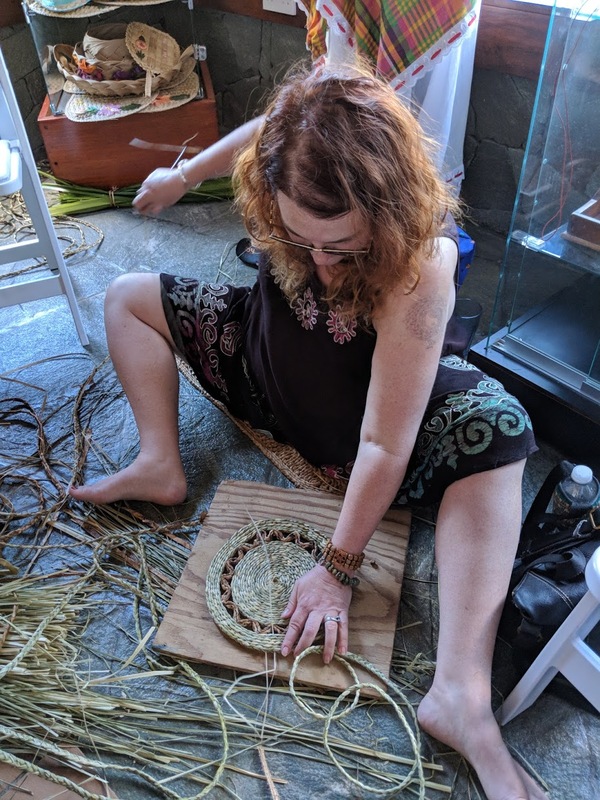 By working in basketry, Betsy is able to invite the viewer to touch and interact with and experience pieces in a visceral manner. 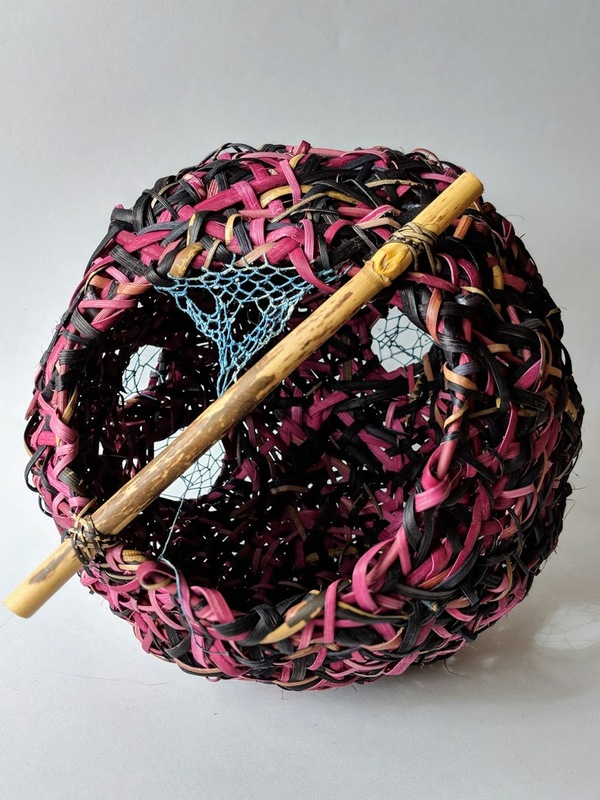 Incorporating her exploration of locally-derived color sources, Betsy’s baskets push past the merely functional into artworks that are complex and pleasing while maintaining a connection to human cultural origins.